Since most bottled water is derived from fresh surface water sources, it is not surprising to find that the levels in bottled water are generally very low. According to the USDA, the average level of fluoride in bottled water is 0.11 ppm. (USDA 2005). Less than 10% of bottled waters contain more than 0.3 ppm.Although some fluoride proponents claim that the increased use of bottled water could be an explanation for the increase in tooth decay being seen in young children today. This, however, is a dubious claim. As an American Dental Association spokesman, Dr. Jonathan Shenkin, conceded in August 2012, “there has been no research to show using bottled water causes tooth decay.” In fact, the limited research that has been conducted has found no relationship between bottled water consumption and tooth decay — a finding consistent with other recent evidence on the ineffectiveness of fluoridated drinking water. With your help we can continue improving this list. If you have found a company offering non-fluoridated bottled water that should be added to this list, or if you have found a company on this list using fluoride in their product please email us at GetFit[@]FullSpike.com (remove brackets), or leave us a comment at the bottom of the page with a link to the official report / reference that supports your findings. We are not liable for any inaccurate data as companies change their marketing, ingredients and processes all the time. We are doing our best to keep this accurate! This process is used for purifying some, but not all types of bottled water. Reverse osmosis systems is typically not affordable for personal or general public use. A home water filtration solution. But it’s quite an expensive solution at approximately $30/filter and the filters require frequent replacement. Commercial distillation filters that can be purchase to remove fluoride from water. While the fluoride can be removed from distilled water, it still may have other impurities that could prevent it from being unusable as drinking water. These filters do not remove Fluoride. If you check the websites, and labels, the descriptions state that fluoride is left in the water after filtration. Will Boiling Water Remove Fluoride? No, this will only concentrate the fluoride rather than reduce it. Will Freezing Water Reduce Fluoride? No, this method has no affect on the presence of fluoride. Read labels on bottles. Unless they are made with distilled or reverse-osmosis water, it was probably made with fluoridated public water. Be sure that your tap water is filtered! Fluoride in Your Water & How to Remove It! Where is the list of bottled water without fluoride? I am very confused by this post. Important information. I’m quite fortunate – we have a well and our own pure water. I am from Italy, what are the fluoride less brands available in Italy ? Three results from three experts: I agree with the “live water filtration” choice! I just remembered this happening a few years back here in the UK. I noticed Arrowhead had LF: ND – 1.3, is that all arrowhead brands? Kirkland Natural Spring Water from Costco, is not recommended for drinking in a fluoridated region. This water comes from the Source Aurèle in Jandun, France from where it’s exported to the UK and to fluoridated Australia. 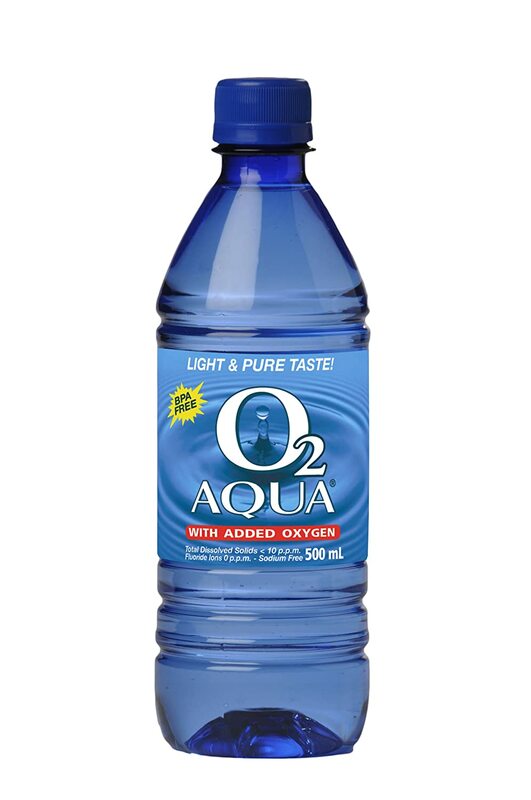 This Natural Spring Water (note that this is different from the more strictly regulated Natural Mineral Water status) contains 1ppm fluoride. Fluoride is NOT declared on the label. There is also doubt about whether the use of the word ‘natural’ should be legally used on the label since it seems to imply that the water is NMW. I just looked at the fact sheet for Evian and it had 3.2 fluoride in it. Why is it in your list of un-fluoridated water? Some chemicals in water bottles cause cancer. Which brand would you reccomend to be the best based on having low-flouride levels and their containers being made of plastic? I recommend transferring water from plastic bottles to glass mason jar with dispenser. Pay attention to expiration date at supermarket as it will give you an idea of how long the water has been sitting in plastic. fluoride is in NO WAY SHAPE OR FORM required by the human body for ANY reason . its a highly posionous gas that KILLS when ingested ( fluorine ) . please pll DO NOT listen to this article in anyway . the best thing you can do if you dont want fluoride in your water is purify it . other than that , you’ll probably be drinking it in some fashion . tap , shower , toliet , & every public source of water in the us HAS fluoride in it . I live in Cairns, Queensland, Australia, and fortunately we took fluoride out of the water supply two years ago! Finally no more spending $30 a week on bottled water. I feel so sorry for everyone trying to avoid this class 4 poison and having to put up with their governments and people around them telling them that “the science is in, it’s good for teeth!” yet its the body that is just as important, the kidneys filter this stuff, since when does science know everything? Never that’s when, health is constantly changing, why experiment with your health by consuming fluoride? Studies are starting to show all toxins great and small, add to the immune load, via free radicals, and these add up causing cancers, and artery stress, inflammation, heart disease. But the surgeon general won’t tell you that, they’re saving money on their dental programs! Would you allow your dentist to put Fluoride on your teeth? Is it safe? Why or why not? I believe Puritan Springs might need to be re evaluated other sites have them listed as containing fluoride. I believe the list of companies reported to not use fluoride need to be updated. According to the IBWA Crystal Springs and Deer Park (and others on your list) do contain fluoride. Just wanted to say thank you so much for posting this article. I’ve been drinking Kroger water wondering for a long time if it was fluorided or not and so comforted to know that it is not. I found this before calling the company which was much more convenient. Thanks again!